So I received a beautiful package sealed with cute washi this morning from the lovely Drix Productions on Etsy! I bought one of her new Kawaii grab bags which includes a variety of items which come to £5 or more in value for £3.50. This store sells mainly stickers, keyrings etc - it's all very cute! 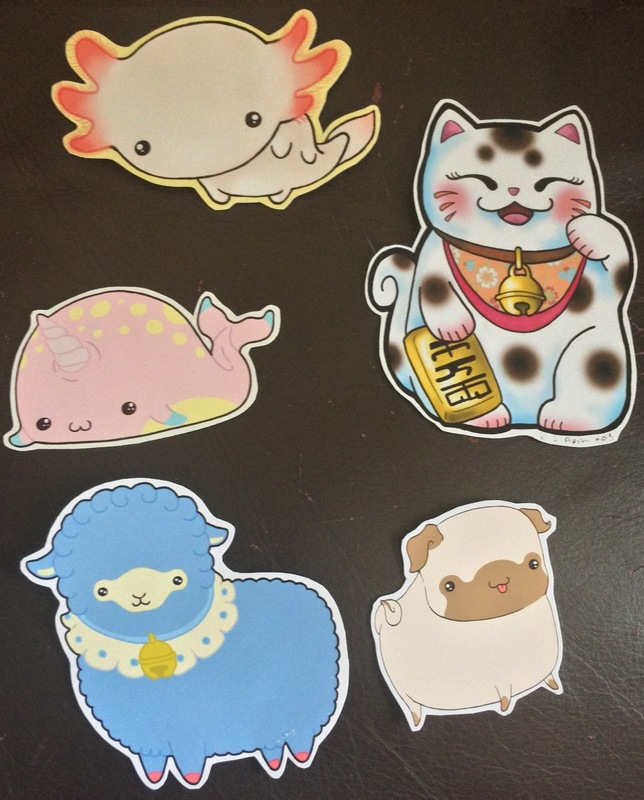 So these are the stickers that it came with. I actually received the pug sticker as an extra to the grab bag. The designs are so cute and colourful - my favourite is the lucky cat! 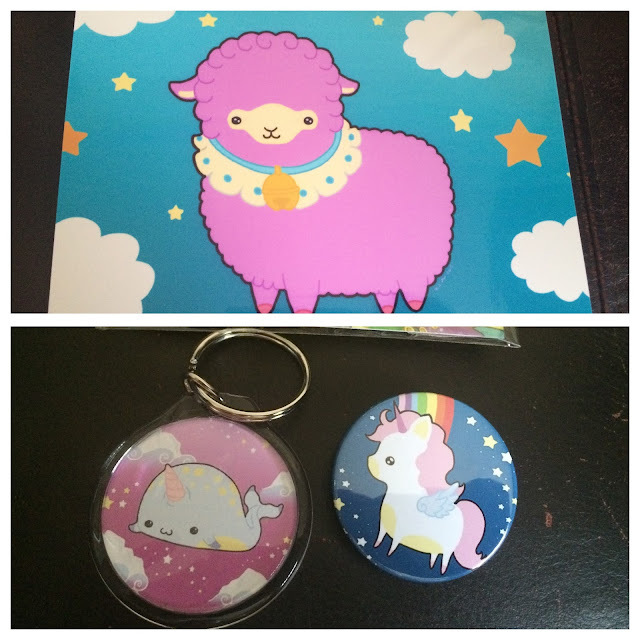 In the bag was also an alpaca mini print which will look cute on my wall or laminated, punched and put in my planner. I also received a narwhal keyring and a unicorn badge. Finally, I received a prism art card with the narwhal design on it. This will look cute in my purse in the little window section. The card itself is very good quality! 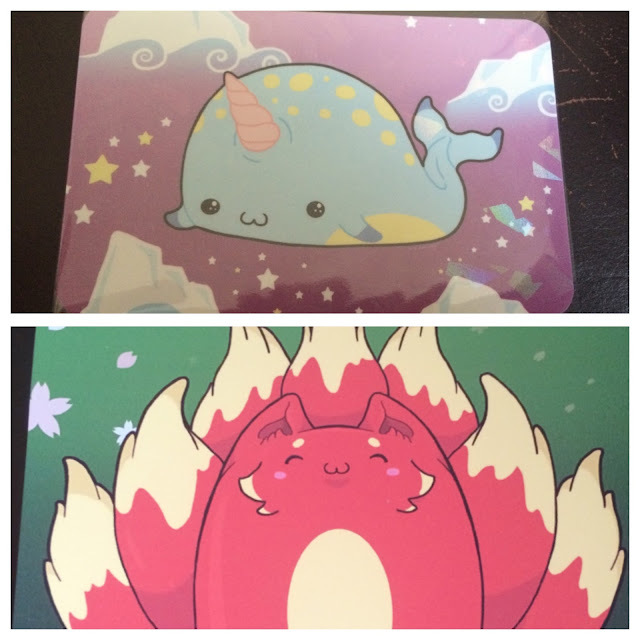 There was also a kitsune (fox) mini print in there which reminds me of a chubby Ninetails except there isn't nine tails! Overall, I'm really impressed with Drix Productions - everything is cute and looks just like it does on their Etsy shop. I also think that the grab bag is great value!